It’s official. 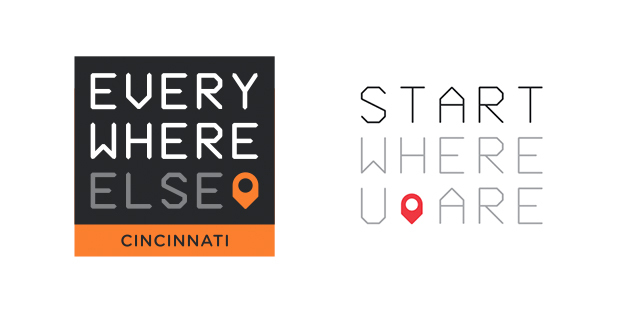 Everywhere Else Cincinnati is the startup conference helping you start where you are. The second event in our Everywhere Else series will take place September 29th – October 1st in Cincinnati, OH at the Duke Energy Convention Center. This conference will unite the startup community everywhere else for 2 1/2 days of learning, inspiration, and connecting. Enjoy two full days of content from our amazing line up of nationally recognized speakers, three killer parties, a pitch competition between some of the hottest startups, and so much more. Things will get under way with a huge party September 29th in downtown Cincinnati. Everywhere Else Cincinnati kicks off a huge month of innovation in Cincinnati. The Brandery Demo Day immediately follows the conference on October 2nd, and some of the best designers in the world will be in town for Cincinnati Design Week. When you’re starting up outside Silicon Valley, you face huge challenges, and it can often feel like you’re all alone. But, all startups everywhere else struggle with the same obstacles. It’s time for the “everywhere else” ecosystem to come together. Nibletz and the Everywhere Else conference series believe that when we collaborate, “everywhere else” is THE place to be. Everywhere Else Cincinnati comes with a new theme, tag line, and mission: Start Where U Are. Through our conferences, events, and activities, we want to help entrepreneurs from around the globe start right where they are. There’s a startup renaissance happening right now, and events like the Everywhere Else conference series are here to highlight that. A full list of current speakers can be found here, and many more will be announced soon. And, we all know entrepreneurs work hard and play hard. Soon we will also announce the three huge parties where you can relax with 1000 of your closest new friends. Everywhere Else events are geared towards startups everywhere else, which means we keep the ticket prices low enough that even bootstrapped startups can afford to attend and exhibit. Tickets will sell out fast, so don’t miss out. We have 200 early bird attendee tickets available for $99 and 30 Startup Village Booths discounted to just $495 (includes exhibit space, 3 tickets, and a huge pitch contest). You can book your room for Everywhere Else Cincinnati at the beautifully remodeled downtown Cincinnati Hyatt for a discounted rate here. Come join us as we learn, network, party, and build something huge–the everywhere else ecosytem.